The Big League Experience is excited to provide a high powered 3-day Players clinic for keen ball players between the ages of 9-15 years. 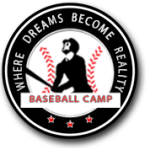 Join us for a great 3 days of baseball to help improve your game! The Big League Experience is excited to provide a high powered 2-day Players clinic for keen ball players between the ages of 8-15 years. Join us for a great 2 days of baseball to help improve your game! The Big League Experience is excited to provide a high powered 2-day Players clinic for keen ball players between the ages of 9-13 years. Join us for a great 2 days of baseball to help improve your game!